Girl's Hooded Quilted Jackets Just $7.99! Down From $50! You are here: Home / Great Deals / Christmas Deals / Girl’s Hooded Quilted Jackets Just $7.99! Down From $50! Girl’s Hooded Quilted Jackets Just $7.99! Down From $50! 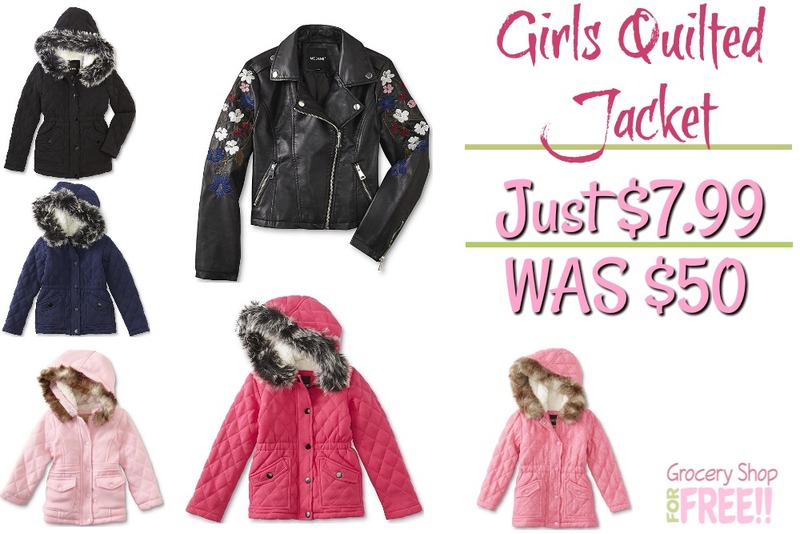 Right now you can get this great deal on girl’s Jackets! You can get these cute jackets for just $7.99 when you purchase them online and use code: HOLIDAYS AND choose FREE in-store pickup! If you choose to have it shipped you’ll pay $8.45. FREE in-store pickup with the code: HOLIDAYS gives you 20% off and having it shipped to you with code: HOLIDAYS gives you 15% off. She’ll be as cozy as she is stylish in these girl’s quilted jackets from Me Jane. With a quilted knit outer shell and faux Sherpa fleece lining, this zip-up jacket is designed to keep her warm. The attached hood flips up easily and features fashionable faux fur trim on the edge.